Join us this Saturday. Help celebrate the Historic Charles Street Association’s 100th Birthday. 100? It’s true! HCSA turns 100 years old this year… and we’re celebrating!! From 1-6 pm, 40 businesses along the Charles Street corridor will be participating in a “Dollar Stroll”—each will be selling something special for $1.00! Here’s the full list of $1 deals and a map. After you’ve done some shopping, join us in the lot next to Marie Louise Bistro from 5-10 pm for an outdoor birthday celebration with food & drinks from: Dooby’s, Ryleigh’s Oyster Mount Vernon, Spirits of Mt Vernon, Jurassic Pork BBQ, The Brewer’s Art, Trinacria Cafe, Cazbar, HomeSlyce, Everything Turkey Food Truck. and Grand Central Nightclub! DJ Vodkatrina will be providing the birthday jams for the night! There is a $5 suggested donation for the evening event & you’ll receive a commemorative HCSA cup! Shout out to our sponsors! M&T Bank, Southern Management Corporation, Zipcar, Chase Brexton Health Care, Yellow Cab of Baltimore,Mount Vernon-Belvedere Association, and HarborLite Networks! 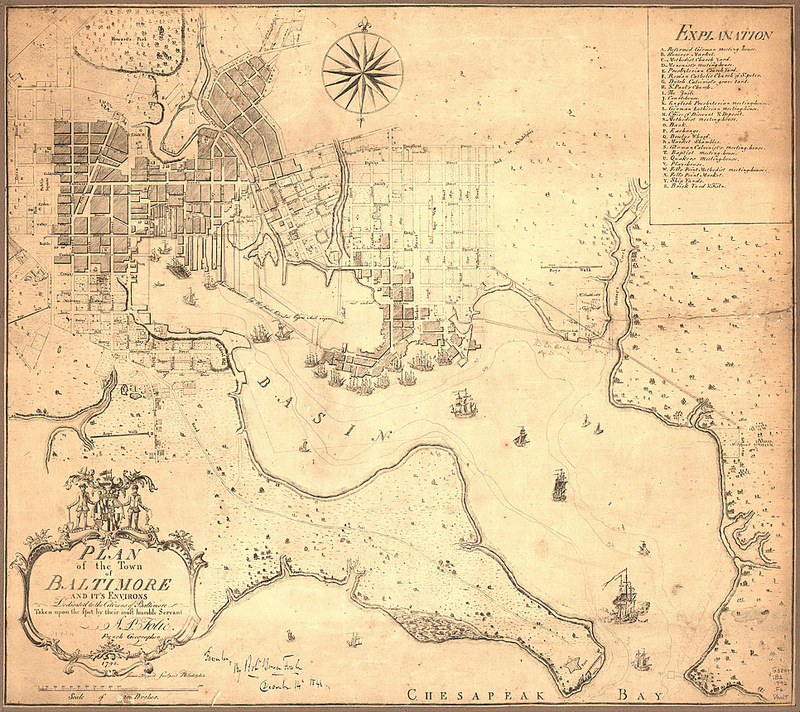 A Brief and Informal History of Baltimore’s Premier Thoroughfare. 1761, some events of note. ’61 brought some unsettling earthquakes to England that brought down chimneys in the London neighborhoods of Limehouse and Poplar. The Third Battle of Panipat was fought in India. On June 6th a transit of Venus occurred and was seen from over 100 locations around the world. The tune to Twinkle, Twinkle Little Star was published as Ah! Vous dirai-je, Maman. Wax modeler, Marie Tussaud was born in France. The man who would become Pope Pius VIII, Francesco Saverio Castiglioni was born in Italy. Swiss painter and enameller, Theodore Gardelle died that year as did Japanese shogun, Tokugawa Ieshige. In the Thirteen Colonies, Baltimore Town’s Charles Street was first mentioned by name in official records. Apparently a tavern was going to be built on the street by Daniel Barnet. According to land deeds and an early newspaper report, Barnet purchased the land for the tavern from Jacob Meyer. All of this took place some fifteen years before the Second Continental Congress adopted the Declaration of Independence. Charles, your street to all great things. Charles Street may or may not have been a Susquehannock Indian trail. What may have been called Forrest or Forest Road, before it officially became Charles Street, was drawn on the original 1729 plat of Baltimore Town. However, what has become one of Baltimore’s favorite streets – and certainly one of the oldest and most famous in the city – was shown without a name on that original town plat. Over the years that single, pesky fact has led to conjecture, supposition and some outright guessing about the street’s history: Who actually named the street Charles? Who was it named for? And, exactly when was it named? There are two major schools of thought on the issue. Some believe the street was named for Charles Carroll of Carrollton, grandson of the Fifth Lord of Baltimore, Charles Calvert. Others believe that the street was named for the grandfather himself, Lord Charles Calvert who was proprietor of the colony of Maryland from the time of Baltimore’s founding until his death in 1751. The latter view came to life, and was widely read, by way of a November 1953 article written by William Stump and published in the Baltimore Sun. Stump argues that this view is the most credible because of the naming of Calvert and Baltimore Streets at about the same time as Charles Street was named. Charles Street quickly took its place in our city’s history and contributed, arguably more than any other street, to the growth of contemporary Baltimore. 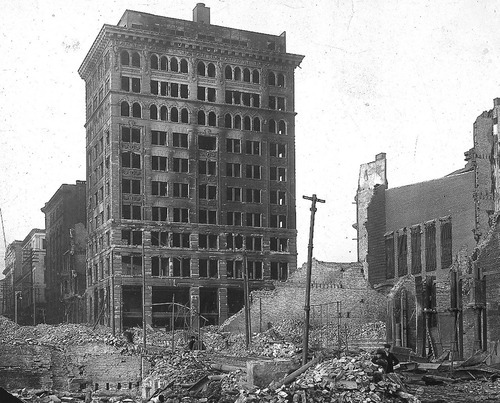 Even after 1,526 buildings spanning 70-plus acres in downtown were destroyed by the Great Fire of 1904 Charles Street rebounded and rebuilt rapidly. 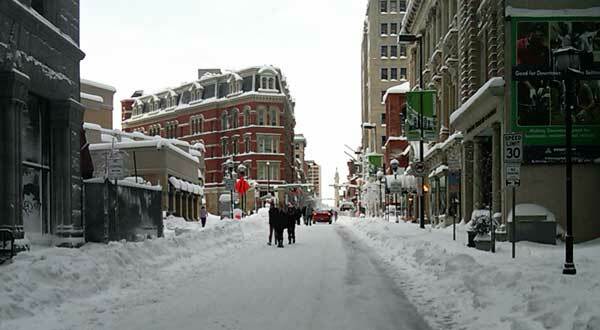 For well over two centuries Charles Street has been the premier thoroughfare in the city. Charles Street has always been one of Baltimore’s hubs of commerce, law, finance, the arts, and education. From its earliest beginnings, Charles Street has hosted Baltimore’s finest restaurants, retail venues, fraternal organizations, and houses of worship. (And yes, since the 1700’s, extraordinary and well attended taverns!) It’s the location of choice for festivals and public celebrations. In more recent times Charles Street has become an urban residential neighborhood that Baltimore’s founding fathers could not have dreamed of—nor have imagined. In 1915, merchants came together to form an organization to aid the variety of stores and restaurants that called Charles Street home. Even then Charles Street was bustling with banks, book stores, salons, clothing shops, and restaurants. The Charles Street Association, as it was then known, heavily marketed the businesses along the corridor. “A Symbol of Character” was a popular early tagline. Today our organization, now known as the Historic Charles Street Association, maintains that mission. The association leverages our street’s historic architecture and central location to market the variety of shops and services found along Baltimore’s Scenic Byway. ← Chita Rivera’s Broadway VISIT was short, yet brilliant.